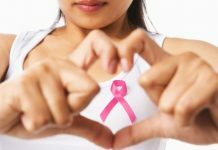 Most of the breast cancer survivors have the concern if the cancerous cells recur! The feeling that the body has suffered once and it cannot be trusted again for life time recovery is probably the most insecure feeling a breast cancer survivor has. 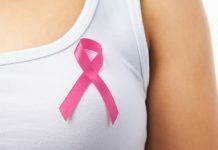 The body has already underwent a vast treatment regime and now it is time to take care of it in the best possible way so that breast cancer does not recur again. 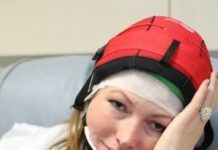 Just not the body, your mind has also undergone great amount of stress during the diagnosis and treatment. Thus, treat it and pamper it to the fullest. Give priority to your wishes and do things that you like and make you happy. You can join cancer survivor communities and reap the benefits of group healing. 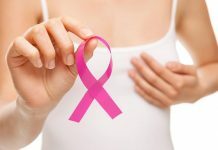 Keep yourself updated about the new researches and studies made on breast cancer. You can consult a psychotherapist and talk about your fears or concerns. Reach the optimum confidence level and opt to profess the role of a breast cancer advocate. Once the treatment is done and your doctor gives a ‘green signal’ to normal lifestyle. Start doing moderate exercises regularly. Do not start gaining weight as it’s a danger alarm again! Avoid alcohol or any kind of intoxication. Keep your body under constant monitoring by attending scheduled screenings. Keep examining the breast every week and inform any kind of changes you feel to your oncologist. A proper balanced diet with low fat and low calorie content is advisable because that will not let the estrogen circulation in the blood to increase. Include at least five servings of fruits and veggies in your diet daily. Organic foods should be your first choice. Make sure to wash each and every food in clean water to reduce the risk of pesticide consumption. Try to cut off red meat from diet. Consume 3 servings of fish on weekly basis; choose the ones with high omega-3 fatty acids like sardines or salmons. 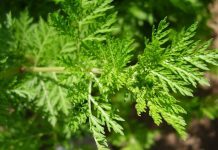 East fibrous diet and limit trans fat. 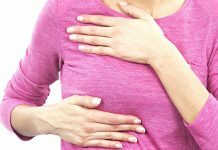 This is one of the major causes of recurrence of breast cancer – thus make sure you don’t confront the same stressful hours that you had already faced for past few months or years. Since every woman’s body is different thus the capability to manage stress is also variable but of course you can opt for effective means like support groups, exercise, acupuncture, get indulged in creative acts, Yoga, Reiki, Massage therapy, meditation and breathing exercises, etc. to get relief from stress, anxiety and tension. The disease brought a great blow in your life both physically and mentally, thus do not expect a massive change in you within few days. Practicing these steps will not only ensure self healing both psychologically and physically but also assure of not letting the disease attack you once again.